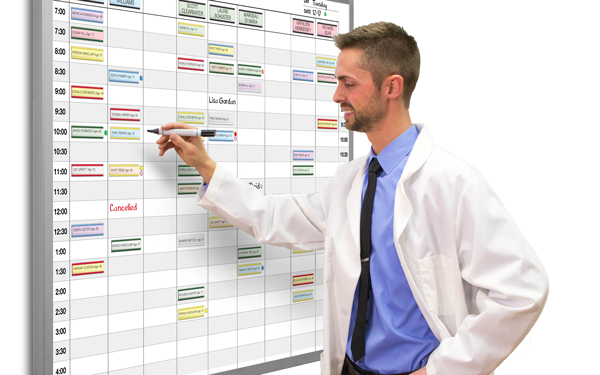 Displaying a clinic traffic flow board calls for graphically organizing time, people, facilities and services in a fast, easy-to- read image that everyone can instantly see what's happening. You can tailor these completely flexible magnetic boards to bring it all together exactly the way you want it. Customize the printed words on the board at no extra cost (click on the board number in the price list and follow the "customize" instructions) or order a fully customized board with your special logo, images and message.